With passion, creativity and a signature sound ASKII is pushing his music out of the ordinary. Starting producing in 2006, ASKII dedicated himself to a wider spectrum of musical styles, ranging from Trance over Ambient to symphonic Soundtracks, delivering strong, unique messages and emotions with every of his tracks. ASKII was born as Erik Rettig on 10 May 1989 in Dresden, Germany. From an early age he felt himself connected to music, being fascinated by everything that had to do with sound, instruments and ways of music production. At the age of 11 he got his first own keyboard - the actual starting point of trying own musical creations was set. In 2006 he discovered the possibilities of computer-based music production and started to experiment in different styles, such as Trance, Breakbeat and Chillout. The project "ASKII" saw the light of day in 2009. The pseudonym was a variation of his earlier (general) nickname “ASCII”, adapted from the computer code. To make something more special and a link to his forename, he changed the ‘C’ with a ‘K’. In the same year he started spreading his music on social media platforms on the internet, drawing attention quickly amongst both listeners and music labels. From 2010 on, ASKII was signing his tracks with an immediate world-wide response - in November 2010 his track Endorphins even made it to be elected into Beatport's Breakbeat Must Hear Top 10. From 2011 on, ASKII focused on Trance Music for around 4 years, mostly Uplifting. Tracks like Beyond Vision, Rising or his Cinematic Remix for Akku - Infinito went along with a remarkable support list and the likes from artists like Manuel Le Saux, Jorn van Deynhoven and Photographer. In 2012 ASKII entered the stage as a DJ. Having played in cities like Prague, Belfast and Munich, his sets have their own personality, exciting with a combination of drive and an emotional journey. His radioshow Above The Atmosphere from 2012 to 2016 caused the same appreciation, creating a base of constant listeners while being broadcasted on TranceRadio.FM and British 1mix Radio. Choosing the path of artistic music instead of following the mainstream for the sake of career success, in 2015 ASKII started widening his musical portfolio by producing Ambient and Chillout with tracks like Solitude and Mountain Roads. Here he is able to truly unfold his pure creativity, set free from any rules or guidelines. On the other hand, Trance remains the main direction of his work. Focusing on the Progressive style, he combines groovy, complex basslines with melodic, atmospheric soundscapes (Dimensions, Maze Of Mirrors). 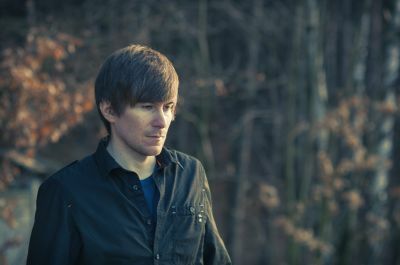 Being always fascinated by orchestral soundtracks, ASKII was implementing elements of sample-based orchestral pieces into his widely known "Cinematic Trance" tunes. Since 2015 he makes his "orchestral" dream coming true by composing soundtracks as a side project under the name "ASKII Symphonic". These productions are well supported by major YouTube channels and are quickly on the rise. Among these works, he produced the soundtracks for official trailers of the Ardeen fantasy saga written by Sigrid Kraft.